Many school were engaged in theoretical lessons and practical business games which included activities such as planting trees, waste separation collection. Moscow school № 1256 aslo used the opportunity to transfer part of its technical and laboratory equipment in the small school-SPARE to Russian environmental settlements. 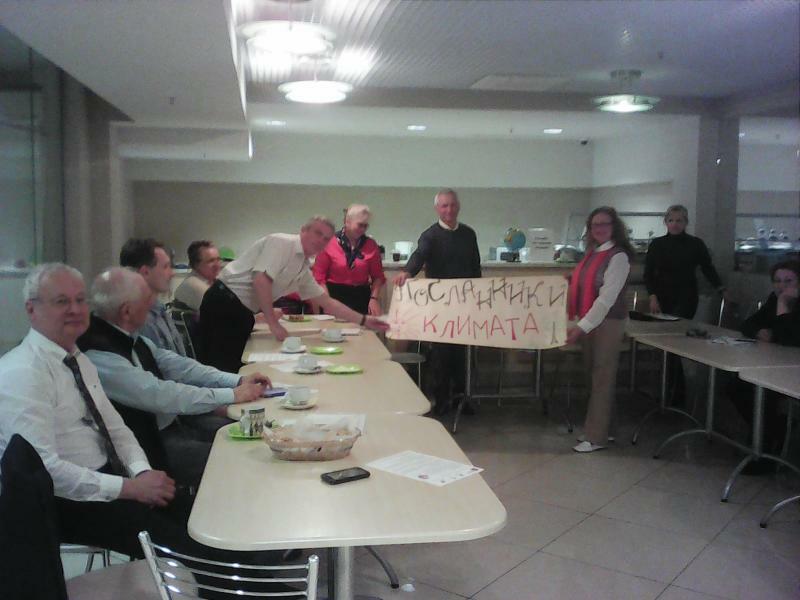 Co-director RSEU and Methodists NGO "Viola" held announcements about the RSEU "Climate Ambassador" in early April 2016 through Skype seminars, thematic newsletters, and pages on information networks. Regional coordinators of the program "Climate Ambassadors" discussed the materials and methods of the Program at a meeting of the Association of Environmental Educators of Moscow. This meeting was held at the Environmental Education Center "Sparrow Hills". Teachers appreciated the new Program and adopted the lessons into theoretical developments and presentations. 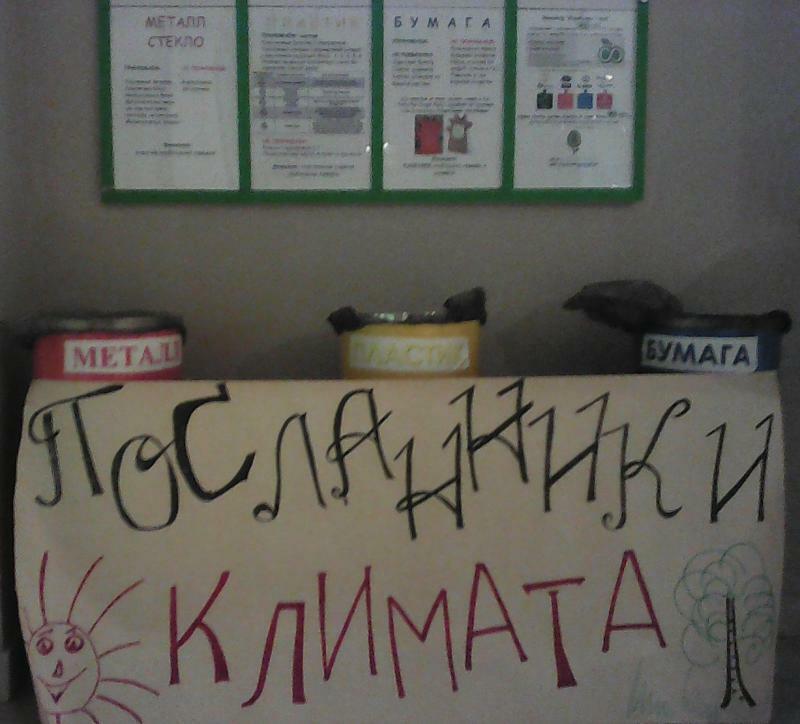 This package was created by members of the Organizing Committee of the Russian SPARE, Climate Secretariat RSEU and Methodists RSEU Program on “Environmental Education". Students - participants at the SPARE project competitionsstood on as the volunteers and the first set of "Climate Ambassadors". We handed materials on "Climate Ambassadors" program to the Russian Geographic Society. After that, we got a counter offer. Academician of the Russian Ecological Academy, Dr. in Biology Alexander Minin, head of the program "Voluntary phenological network of the Russian Geographical Society" invited our volunteers and "Climate Ambassadors" to become parties to create a Phenological Network in the Moscow region. Dr. Alexander Minin provided us with detailed guidelines and books to participate in the phenological observations. Teachers and students supported the merger of two environmental programs. School Pushkin district and the Zhukovsky city created new plantations in the field of burned and diseased trees. Environmental Education Center, "Sparrow Hills" and schools Ramenskoye district also show students the connection between the separate collection of waste and climate preservation. Teachers and school administration of school-SPARE № 1256 Moscow made an interesting proposal, as part of the "Climate Ambassadors" program. This school holds reconstruction of offices and laboratories. They received a grant for new equipment. The administration of the school has decided to transfer the old technical and laboratory equipment to rural school-SPARE. In this case, the Moscow school will give second life devices and help the rural students to conduct innovative work. We recommend a rural school in the ecological settlement "Ark", Kaluga Region, a member of the Network SPARE c 2013. In the summer of 2016 students a small, but very innovative "Ark" school, get the perfect outfit for their lessons and extracurricular work.